The guide you wish you had when you were first getting started in music. How to promote and sell more music. How to book more shows and get better results from every show you play. How to diversify your music industry income. How to get your music on the radio. How to promote your music with blogging, podcasting, social media, email, and video. How to increase your personal confidence and boost your self-image. How to build the career of your dreams on your own terms. 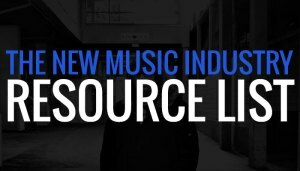 How to get signed to a record label, if you have major label ambitions. If you’re a musician in the year 2016 moving forward and you want to make a serious go of your career, then you will initially feel overwhelmed at what steps to take first. Forget what Captain Kirk said, the internet and world wide web is the final frontier. Here is my recommendation for your first couple of steps: Hone your craft, work hard on your material and work on how best to get these talents across by practicing in your garage until your tails fall off. 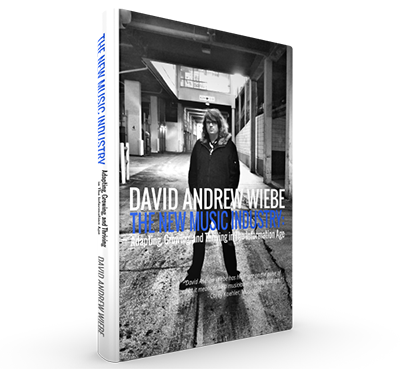 Then you need to buy a copy of David Andrew Wiebe’s excellent book. I really don’t think he’s left out one step on how to use the internet and social networks to reach the maximum amount of fans. And not just passive fans, but fans who will respond and circulate your band’s name and image. You’ll learn how to get video clips not only distributed but watched by the kind of people that will wind up banging the drum on THEIR Facebook pages and work as your personal PR people. David Andrew Wiebe is the king of internet music marketing and, most importantly, social networking platforms. To me if he hasn’t written about it in this excellent book, it’s close to useless or not in existence. Great, easy to read and comprehend book. The New Music Industry book is already overflowing with actionable information. But if you want to get the most out of it, you’ll also want to take advantage of the many tools and resources that were credited and mentioned throughout the book. We painstakingly compiled them all, and put them on a single page for your convenience. If you’re a go-getter, we have no doubt that you will want to take advantage of this bonus resource.